Above all, you’ll need to be prepared for what the day throws at you – you’ll need work bags that are both convenient and functional. If you’re anything like me, you probably never leave your house without checking your bag for keys, phone, wallet, and most importantly the stain eraser pen (no mobile device can protect you against spills during your commute or lunch). Now, I understand that these are a few essentials everyone can relate to, but most will need a lot of other items we hold dear to our everyday needs. To make the journey less miserable, we’ll need to optimize and carry bags that double as organizers. A leather tote or laptop bag is ideal for those who also must take their processor on the go. Padded to accommodate your electronics, they also feature inner and out pockets and compartments that allow for a comfortable and hands-free commute. The best part is these are unisex items that both men and women will find beneficial. The bond between business travelers and their laptop is sacred. When traveling for work one must also think in terms of airport and airline regulations to ensure comfortable and hassle-free flights. Unless you’re going away for long periods of times, it’s probably best you pack light and shoot for a baggage that allows you to move freely around the airport. Other things to keep in mind are airport delays and of course your unique needs. 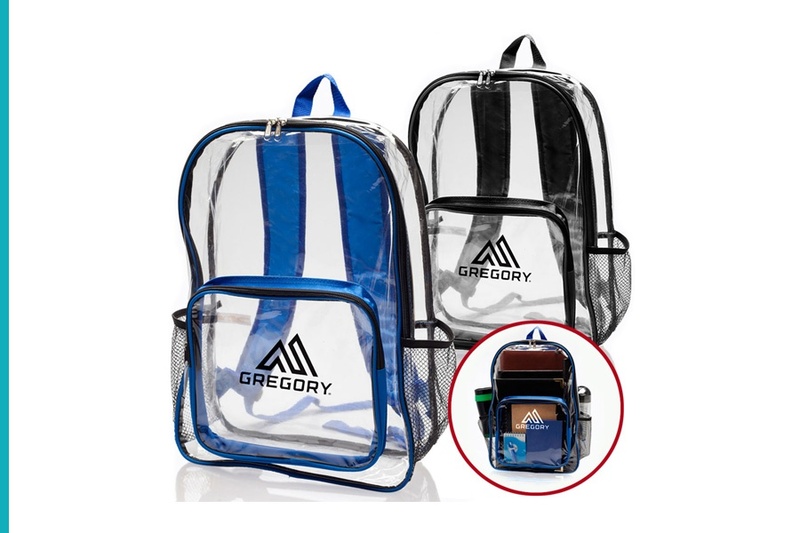 Computer backpacks ensure that your electronics are only a pocket away and have a designated laptop compartment that guaranteed they stay safely stored during the flight. 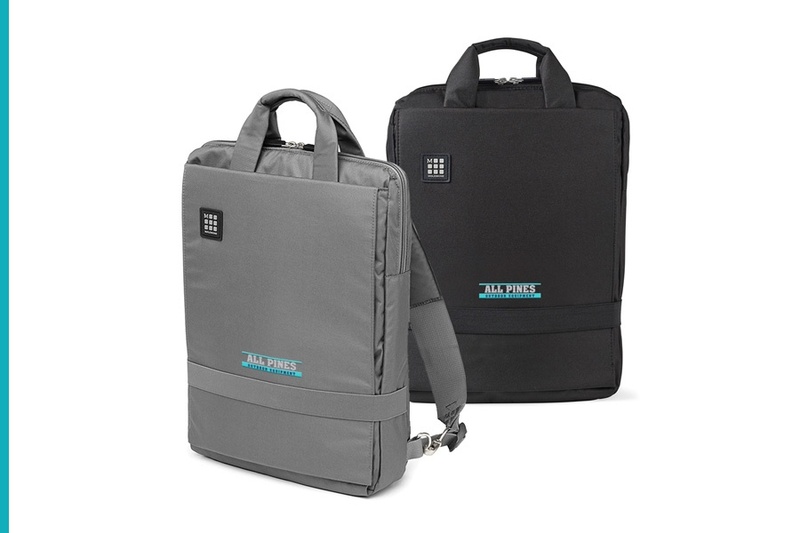 A favorite of the modern business man (and woman), computer backpacks are sturdy, spacious and help keep all your essentials together, so you can relax inside the aircraft. Once outside, you won’t have to juggle your belongings and concentrate on other tasks like finding directions or hailing a cab. 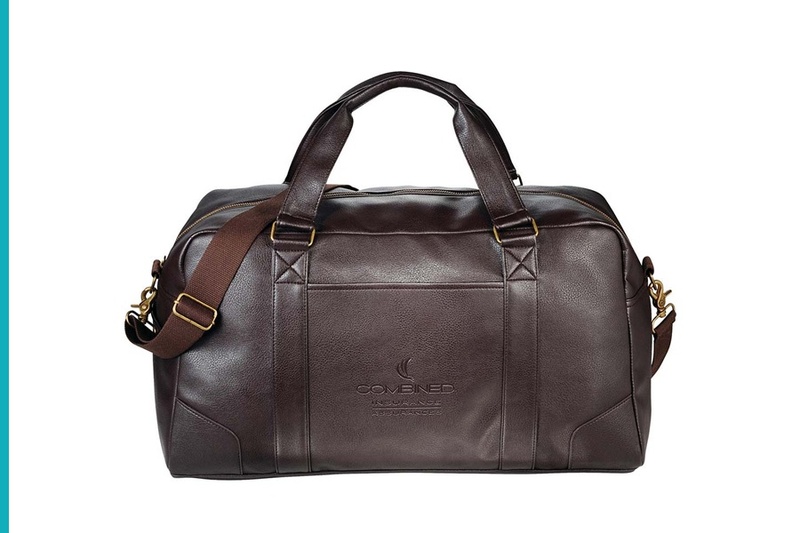 Although duffle bags may sound somewhat on the side of counter-intuitive, leather duffle bags are inspired after executive and professionals, and are a favorite among men everywhere. Weekend warriors that will impress about anyone, they’re perfect for those traveling to a convention or trade show. Masculine, durable and elegant, leather duffle bags will make everyone else at the TSA line jealous and feature a shoulder strap for when you’ve tired of carrying it with your bare hands. Leather duffle bags have a rustic but minimalist look for a standout purchase and are carry-on size friendly. Weekend work trips only require a few essentials, and these can help your hone into what really matters. After all, traveling is so much easier when you don’t have to check-in a bag. Contrary to what you many believe, clear tote bags aren’t just for kids. Not only are they a fun fashion statement that allow our youth to be playful and unique, they’re also great safety measures that many companies have started to implement. Many will first think of theft prevention within retail stores and other like industries, but the truth is that clear bags can help us all feel a lot safer when we report to work. With violence rates rising, it’s no surprise many employers have started to ask employees to bring their essentials in backpacks and tote bags that allow security officials to scan for weapons that may be used to create chaos in the workspace. Security compliant, clear tote bags are the work bag of the future. Designed to protect tablets and other digital devices, but also other creative tools like sketchbooks and portfolios, zippered vertical tote bags are a must have for professionals and students everywhere. Many designs also include multiple pockets and compartments to store other day essentials like your wallet, phone and car keys, allowing you to freely move about your day on the way to an interview, meeting with a client, or the classroom. Other tablet cases and sleeves come in styles for a single item enclosure so you can safely store within other work tote bags or luggage. 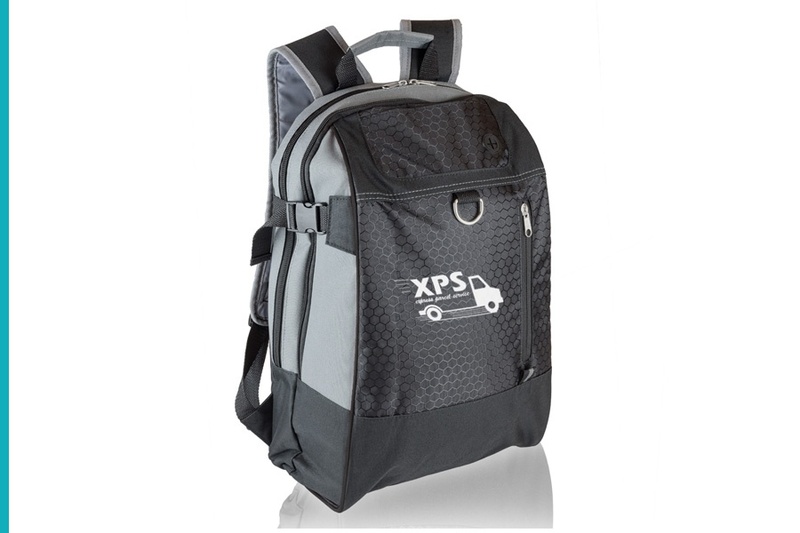 Comfortable and easy to carry, these feature padded interiors s well as all the necessary space to house power cables, pens and pencils, as well as other essentials you cannot do without. Sleek and modern, tablet tote bags are a fashionista item that both men and women will enjoy toting around. 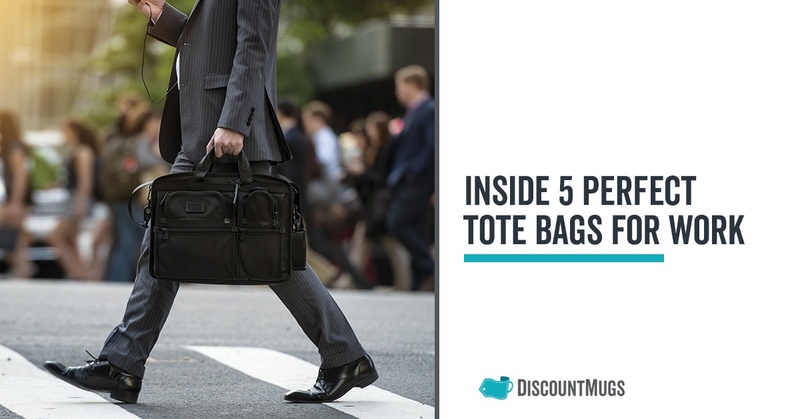 Whether you have a long commute to work, are looking to travel, or simply need to make your employees feel secure within the workspace, these 5 tote bags for work are all great for men and women who need to make their day more efficient. 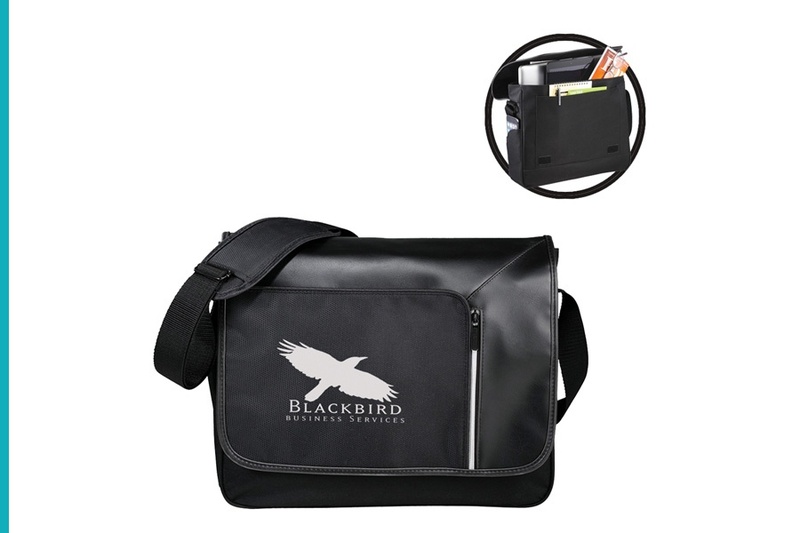 From everyday essentials to important files and electronic devices, taking the lifestyle of your professionals in consideration will go a long way when choosing the perfect work tote bags. Carry items that can do it all, our plastic, polyester and leather totes will make your office life a little more bearable. Let us know in the comments below what other tote bag styles have worked for you and or your employees.